The relationship between occupational physical activity (OPA) and mortality has mainly been studied among males and shows conflicting results. This study examines this relationship in a cohort of both male and female workers. OPA was determined by 4 self-reported questions in a representative sample of 5,839 Danish workers aged 18–59 years at baseline. A 19-year follow-up on mortality was assessed by linkage with the national death registry. Gender-stratified Cox regression models were used to determine the effect of high OPA on all-cause mortality while controlling for age, BMI, smoking, alcohol consumption, doctor-diagnosed disease, influence at work, and social class. Two hundred and sixty-two males (8.6%) and 174 females (6.2%) died during follow-up. Being in the highest quartile of OPA predicted an increased risk for all-cause mortality among male workers (HR: 1.79, CI: 1.19–2.70), but not among female workers (HR: 0.99, CI: 0.65–1.49) compared with workers in the lowest quartile of OPA. 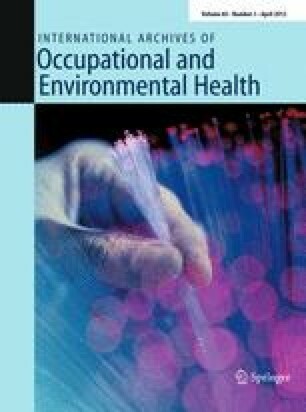 Among females, indications of a u-shaped relationship between occupational physical activity and all-cause mortality were found. The findings indicate that high occupational physical activity increases the risk for all-cause mortality among male workers. Future studies need to further examine gender differences in the effects of OPA on mortality. The study is a part of the Physical work demands and fitness project, financed by the Danish Working Environment Research Foundation. The 1990 round of the Danish Work Environment Cohort Study was partly funded by the Danish Health Insurance Fund and by the Danish Work Environment Research Foundation (grant 1989–2004). All benefits in any form from a commercial party related directly or indirectly to the subject of this manuscript or any of the authors are acknowledged. The authors declare that they have no conflict of interest.